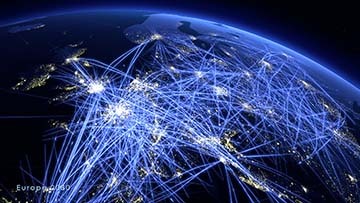 Modernizing the world’s aviation infrastructure and air traffic management (ATM) systems is a prodigious undertaking. One that begins with identifying a need followed by an exhaustive analysis of the task. 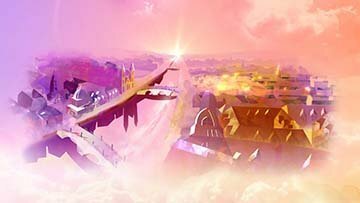 To effectively explain Airbus’ commitment to air traffic safety a new film, Safeguarding Our Future Skies, was commissioned to accompany, LFC’s award winning animation, Building Blueprints for the Sky. Adopting a similar look and feel in style we created a faster paced educational scenario to beautifully illustrate in graphic motion how safety culture works and the sheer number of people involved in that effort. Adroitly shown are weather conditions, air traffic patterns, possible hazardous situations and hypothetical future scenarios, all of which must be considered and learned from to achieve a safe outcome. As an international pioneer in the aerospace sector, Airbus, is uniquely positioned to propel the aeronautics industry forward in a quest to create a safer, connected and evolving airspace for the future. Their accepted commitment to safety culture and competence in the field is outstanding. Technology is in perpetual forward motion. From the word go LFC has moved with the tech, coding our own site, creating new dynamic functionality and dazzling the world with the beauty of Little Fluffy Clouds Animation. Yes, you can buy one off the shelf but it won’t do what ours does. New Year. New Reel. New Site. On this latest LFC website we’ve gone for ever moving, playful visuals in a big way. 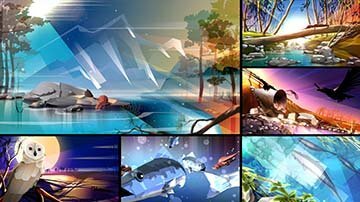 At first glance a cinemascope banner tile that cycles through the new Little Fluffy Clouds montage reel, and showcases a discrete few scenes from a number of award-winning productions. The new reel is fleet of foot. Set to music by Belgian artist, Stromae, it propels you onward to the beat. Don’t blink or you’ll have to watch it over and over - oh OK, go ahead and blink. My partner, creative genius and coder-in-chief Jerry van de Beek, uses that propulsive tech to take the opportunity to engage all those dandy state-of-the-art functionalities. Laptops and desktops experience the site independently of tablets and mobiles. Optimizing for data and speed was the reasoning behind that choice. And we have tested and tested. OK, off you go to check it out and let us know what you think. Wow! It took us a moment to take that in. To get such a spectacular shout out from STASH Media is an amazingly special opportunity. It gives us the moment to talk in a little more depth about the philosophy behind a project what was important to both the client and us and how we finally arrived at the finished look. Not to mention that such a shout out from STASH is like being bathed in the warm glow of a spotlight that shines it’s light around the world. For that one brief moment the eyes of the industry are on you and people are madly clicking on your work and liking and sharing and friending and filling the brief moment with a social media bonhomie that’s hard to beat. Our world is on the cusp of exciting technological advances in aviation. The speculative arena of science fiction - personal transportation, flying cars, unmanned aerial vehicles is underway. 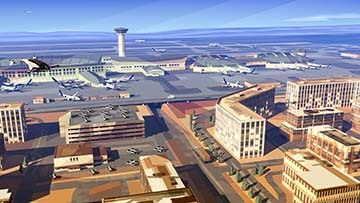 As the skies get busier systems must be devised to safely accommodate the rise in traffic. European aviation leaders recently gathered at a conference hosted by SESAR, the joint undertaking for a Single European Sky ATM Research, to show their support for a digital transformation. Their task now begins to modernize Europe’s aviation infrastructure and air traffic management system to enable more connected aviation and with that seamless travel and transportation for all. Little Fluffy Clouds was selected to create a film for the conference illustrating the predicted rise in air travel and the synchronized innovation that such an evolutionary advance in the future of flight will bring. Working in partnership with, Airbus-SV, Altiscope and SESAR, a glimpse of this redefined future is revealed. 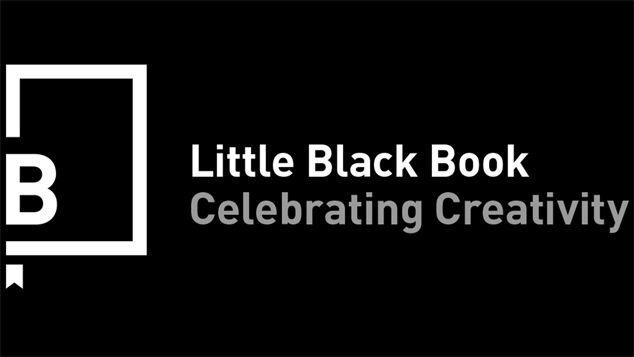 Little Black Book is one of the industry’s best go-to news and networking sites for the international advertising community. Flick through the web pages of LBBOnline and you’ll find the latest industry updates, in-depth interviews and greatest ads in the world. Read the entire article here: https://lbbonline.com and discover the ten other amazing directors for yourself. Announcing the Arrival of It’s a Wonderful Loaf! Take a moment to watch the trailer for Little Fluffy Clouds’ latest animated whimsy, It’s a Wonderful Loaf. Written and narrated by economist and educator, Russ Roberts, this 60-second teaser is the lead in to the full, almost 7-minute, poem. Artfully created in a painterly style, evoking the water color paintings of artists, J.M.W. Turner and John Singer Sargent. The animation is set in a colorful, dreamy, stylized pre-WWII Europe. The original score, which fits the animation like a glove, was penned by the talented duo at pop Tuna, Monica Pasqual and BZ Lewis. This extraordinary poem by EconTalk pod caster, Russ Roberts, is an ode to the hidden harmony that is all around us. The lyrical verse explores the seemingly magical ways that we anticipate the needs of others without anyone actually orchestrating things. The 38th Annual Telly Awards has announced this years recipients. Little Fluffy Clouds scooped up two Telly's for their river otter, ecology animation, As The River Flows. The Telly Awards recognize outstanding international video and film productions and for more than 25 years the Telly statuette has been a symbol of creative excellence. 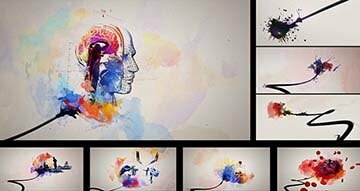 This three-minute, highly colorful, prismatic animation was made for the River Otter Ecology Project. ROEP is a Bay Area, not-for-profit, dedicated to the continued well being of these charismatic little creatures. The steady comeback of the river otter to our northern California watershed is an prime indicator of the general good health of the system overall. As The River Flows, can be seen in many international animation and film festivals. At Little Fluffy Clouds, we’re always proud to showcase our latest animations on the film festival circuit. 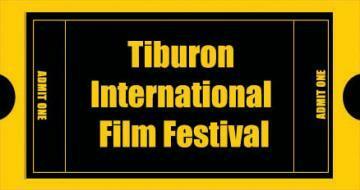 It's always an honor to be amongst the films chosen for a world-renown festival but perhaps the sweetest of all is to be chosen for your local world-renown festival, and one such is the Tiburon International Film Festival. Often called the “United Nations of Cinema”, TIFF is an annual event that seeks to promote greater understanding of the world and its many cultures through the artistic medium of film. Well, we’re certainly down with that! A spectacular animation for this World Otter Day, one as colorful and charismatic as the playful creatures themselves. As The River Flows follows the River Otter on a journey through the northern California watershed from the High Sierras to Tomales Bay. As scenes unfold we see a complete snapshot of their lives, from water to land, from day to night, and from season to season. Created for the River Otter Ecology Project with the hope that, through greater exposure, they may continue to educate and work with government and corporations alike to provide a conduit between these appealing little creatures and an ever-increasing human presence. Actor and nature lover, Peter Coyote, graciously lent his distinct voice to the project and award-winning musical team, John Trivers and Elizabeth Myers of Trivers-Myers Music in LA, stepped up to provide the gloriously haunting score for the animation. Perhaps this statement for the animation sums up the essence of what we have and what is at stake here. Now A Golden Pixie for LFC plus a Telly Award! Winning a Gold Pixie award for Middlesex Hospital’s, Innovation, was a great way to start the New Year! Now let’s add another accolade to the embarrassment of riches for this great campaign - a 2016 Telly Award. LFC's, Jerry van de Beek, directed the beautifully filmed live action and then gave it extra sparkle with his striking and inspired VFX. We're happy to say that both juries of the 2016 Pixie's and the 2016 Telly’s agreed. Go Jerry go! A job well done! In 2015 we wrote about, Innovation, which was our latest spot for Middlesex Hospital and part of a larger on going campaign of commercials, print, outdoor media and digital content for that client. Then we learned that the campaign had been honored with a Gold award in the B2C category at the 2015 MITX Awards. So the Pixie Award is carrying on a great tradition. Often viewed as a quality, caring hospital, Middlesex was not top of mind for delivering complex care. The reality is that Middlesex Hospital has competitive facilities, staff and technology capabilities, but dogged with the perception of a less sophisticated hospital. Their goals: change their perception to be the clear first choice for healthcare in their area, increase market share and increase service line procedures. Statistically the campaign has achieved all of this and more. Now Middlesex Hospital is recognized as being, as the tagline reads: The Smarter Choice for Care. The Massachusetts Innovation and Technology Exchange (MITX) is a nonprofit trade association for the digital marketing and Internet business industry located in Boston. Well done, Primacy! Innovation - The Intersection of Talent and Technology. Innovation is the title and theme of this latest campaign for Middlesex Hospital. LFC directed the beautifully filmed live-action. 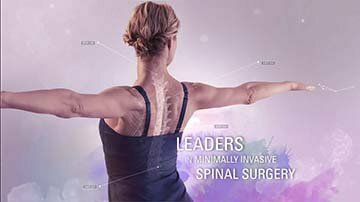 Striking animation and inspired VFX ingeniously transform the visuals, echoing groundbreaking advances in medical technology, by providing a specific unique graphic link that integrates the whole. Innovation is part of an on going campaign of commercials, print, outdoor media and digital content by LFC for this client who have reported a 271% increase in ad recall and a 30% increase in top of mind awareness since the initial campaign began. Now those are some analytics we can get behind! Seems like we're doing nothing but write about our latest Middlesex Hospital campaign. Now we get to revisit the spots that began this award-winning sweep. Common Thread and Missing People, the first two commercials in the series, have each won a Silver Telly - their highest honor. Common Thread tells the potent story of how, at Middlesex, tradition embraces modern technology and infuses both with humanity. Three vignettes sweep us in an upward journey from medical treatment to a place of restored health where a person can fully resume the enjoyment of life. Missing People is the story of survival. Every year 7.6 million people die from cancer worldwide. For each of those people there are countless meaningful moments missed. The talented doctors and leading-edge technology at Middlesex changed that for these three people and put them back into the moments they otherwise could have missed out on. 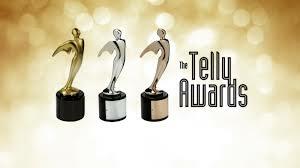 The Telly Awards was founded in 1979 and is juried by over 500 accomplished industry professionals. With nearly 12,000 entries worldwide less than 10% are chosen as winners of the Silver Telly. Part of an on going campaign, Missing Person, for Middlesex Hospital, took top honors at the 2014 Award Show. The campaign swept no fewer than 8 golds. Later the same month the Connecticut Art Directors Club gave it their order of excellence – a nice moment of recognition. Since Common Thread first aired, the spot has won or placed in every Award Show it was entered. You don’t often get to hear exactly what the judges think of your work, and why, but just this one time we did. Here, Jason Carreiro, talks about the TV ad. Common Thread took the Connecticut Art Directors Club, Judges Award plus three more gold awards. That same year, the Advertising Club of Connecticut, gave it three gold awards. It was also a finalist at the 2013 Global Awards. Our hearts sing at a job well done! Little Fluffy Clouds is an award winning animation studio founded by Betsy de Fries and Jerry van de Beek. Little Fluffy Clouds Animation is located in San Francisco Bay Area.